Registration is now open for NEW and RETURNING Resonance members! Click on our Membership page to sign up. Resonance is a non-auditioned choir for youth and young adults ages 15 to 28. Founded in the spring of 2016, we are excited to be entering our second full season. Resonance is a member of the Mississauga Festival Choir family, and is led by award-winning conductor Bob Anderson. 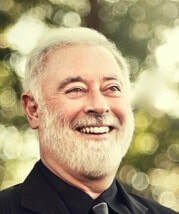 Bob Anderson holds Bachelor of Music and Education Degrees from the University of Western Ontario, where he studied choral conducting with Deral Johnson, and a Master’s Degree in Vocal Performance from the University of Cincinnati. He performed with the Elmer Iseler Singers for four seasons, and his choral arrangements and compositions are published with several Canadian publishers. He taught in the Peel District School Board for 25 years, joining the staff of Cawthra Park Secondary School in 1999, retiring in 2016. At Cawthra Park SS, Bob taught vocal and instrumental music in the Regional Arts Program and conducted the Cawthra Park Chamber Choir, which has performed with the Toronto Symphony Orchestra, Cirque du Soleil, the Elmer Iseler Singers, Mississauga Festival Choir, U. of T.’s MacMillan Singers, at Festival 500, and at the Toronto Vocal Arts Festival. In 2013 the choir performed at the Air Canada Centre in Toronto with The Rolling Stones. He also conducted Cawthra’s 350-voice concert choir, “The Ritz”. Building on her Bachelor of Music under the guidance of Leslie De'Ath from Wilfrid Laurier University, Yvonne Choi has completed her Masters in Collaborative Piano Performance under Lydia Wong from University of Toronto. She has been the recipient of multiple scholarships for outstanding music performance, including the Richard Kehn Scholarship, the Ken Murray Scholarship, and the Penderecki String Quartet Prize. Yvonne has performed with Toronto Symphony Orchestra, Kitchener Waterloo Symphony Orchestra, Mississauga Symphony Orchestra, Toronto Chinese Orchestra, and Cambridge Symphony Orchestra, as well as performing in Masterclasses for world class musicians such as Barbara Hannigan, Lawerence Lesser, Michael McMahon, the Penderecki String Quartet, and the Chiara String Quartet. She maintains an active teaching studio and is a sought-after private studio accompanist for all instruments.